Considering the rapid evolution of digital signal processing (DSP), those studying this field require an easily understandable text that complements practical software and hardware applications with sufficient coverage of theory. 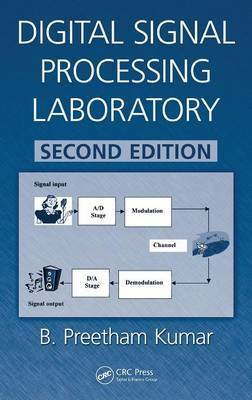 Designed to keep pace with advancements in the field and elucidate lab work, Digital Signal Processing Laboratory, Second Edition was developed using material and student input from courses taught by the author. Contains a new section on digital filter structure Honed over the past several years, the information presented here reflects the experience and insight the author gained on how to convey the subject of DSP to senior undergraduate and graduate students coming from varied subject backgrounds. Using feedback from those students and faculty involved in these courses, this book integrates simultaneous training in both theory and practical software/hardware aspects of DSP. The practical component of the DSP course curriculum has proven to greatly enhance understanding of the basic theory and principles. To this end, chapters in the text contain sections on: Theory--Explaining the underlying mathematics and principles Problem solving--Offering an ample amount of workable problems for the reader Computer laboratory--Featuring programming examples and exercises in MATLAB(R) and Simulink(R) Hardware laboratory--Containing exercises that employ test and measurement equipment, as well as the Texas Instruments TMS320C6711DSP Starter Kit The text covers the progression of the Discrete and Fast Fourier transforms (DFT and FFT). It also addresses Linear Time-Invariant (LTI) discrete-time signals and systems, as well as the mathematical tools used to describe them. The author includes appendices that give detailed descriptions of hardware along with instructions on how to use the equipment featured in the book.